The Oblate world had the opportunity to commemorate the 150th anniversary of the heavenly birth of the Founder, Saint Eugene de Mazenod during the year 2011 -2012. This memorable event has given rise to number of meaningful gatherings in the Oblate community worldwide. This special occasion was characterised by celebrations with the people to whom and with whom the Congregation is involved in the ministry. Main thrust of the ministry, namely, to be with the most abandoned was brought forth in these gatherings. Accordingly, in the Province of Jaffna, plans were forged under the title, “Saint Eugene de Mazenod Day Gathering – 2012”. 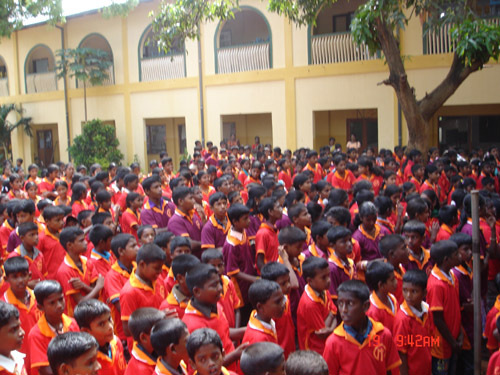 One full day, 19th April 2012, was devoted entirely to this memorable event; it was held at Saint Patrick’s College, Jaffna, an institution which evokes nostalgic memory of the undaunted pioneering mission of the Oblates. The Oblate ministry among the children and youth were highlighted in these events. It was significant in the history of the Province that it gathered large number of children and youth under one banner, and it was the biggest gathering and an Oblate venture in the recent past. 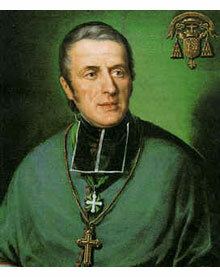 The words of Saint Eugene de Mazenod to one of his Oblates, “I have no use for smouldering wicks in this society. I want you to burn, give light” which rekindled whole concept behind the event, giving an impetus and a challenge to children and youth. These words were powerful dynamic to the theme of the day “enrum olirum thiriyaga” (A wick ever shining brightly). 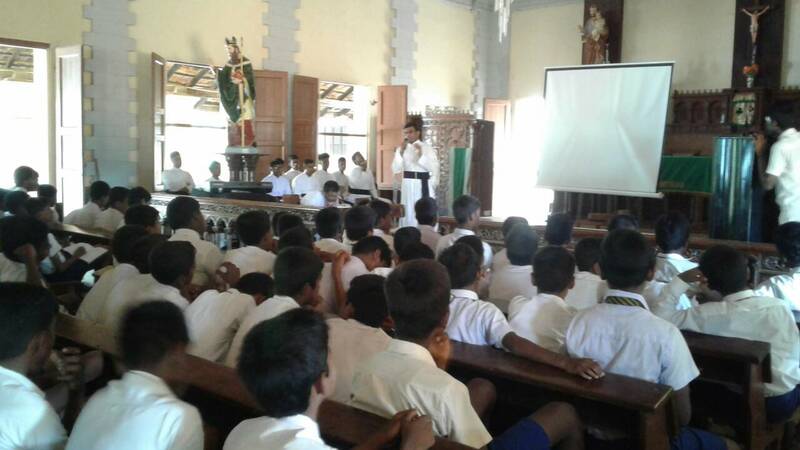 The participants, children and youth, numbering about 1200 of all walks of life with their animators irrespective of religious affiliations were chosen from our various Oblate institutions and mission stations under the care of the Oblates in Jaffna, Mannar, Kilinochchi, Mullaithivu, Trincomalee districts and upcountry regions; they were all gathered together for this one day programme. 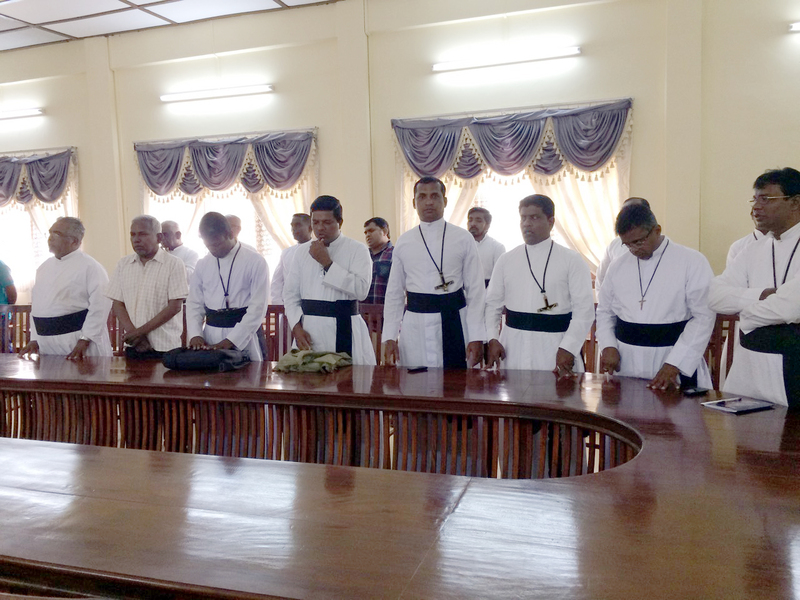 It was very remarkable that the Oblate Province of Jaffna is fully immersed among them in their ministry, realizing their importance in the society. Especially the war-torn community is in need of such involvement. The Oblate ministry is centred on their needs of psychological counselling, growth in the field of education, wholistic approach to life, and leadership etc. The day’s programme started at 9.00 am with common worship. The day was spent on various meaningful activities. The time till noon was made use of for conducting suitable activities for the children and youth separately and it was animated by many experts in the field. The children were made to involve in meaningful programmes to enrich their friendship among themselves and realize their role in society. The youth were given opportunities through various activities to discover their leadership role in the society. Through many role-plays, they were helped to identify the hidden talents in themselves and were made to understand that these were gift to be made use of both for their growth and the betterment of the society. These programmes were better coordinated by the trained animators of our Oblate institutions. 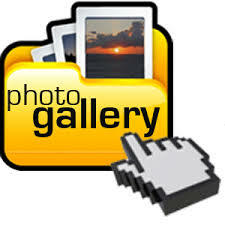 On the whole it was an enriching experience for the participants and organizers. After a delicious lunch served for all, the time between 2.30 to 5.00 was set aside for cultural programme. The variety of cultural performances staged by the children from the Oblate institutions and parishes were appreciated very much by the audience. The cultural features were based on promoting human values. A short drama by the Oblate Juniorists on the life and Charism of the founder, Saint Eugene de Mazenod and a short musical and orchestra conducted by the Oblate Scholastics were the climax of the day. 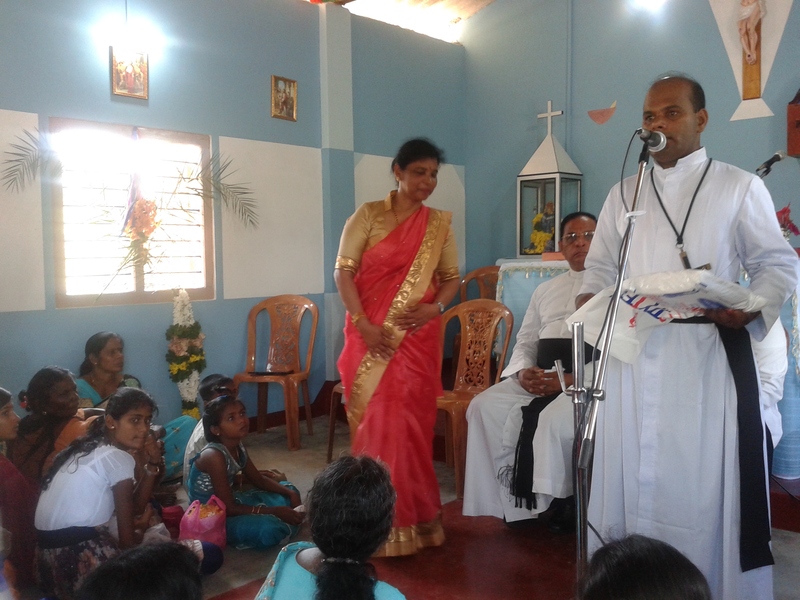 The afternoon stage programme was graced by the presence of the Bishop of Jaffna, Rt. Rev. 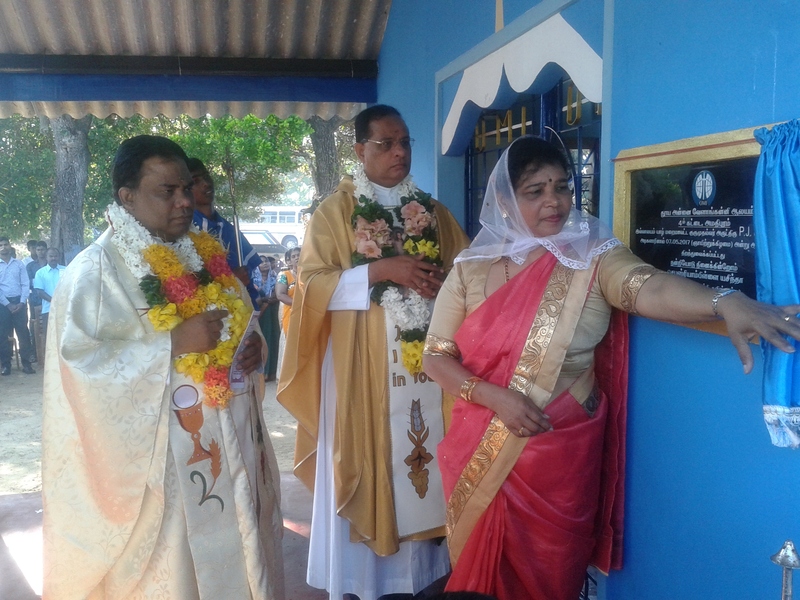 Dr. Thomas Savundranayagam the chief guest, and by the presence of the Chief Priest of Nallur Hindu Temple, Chief Priests of Buddhist and Islam and the Government Agent of Jaffna as special guests. 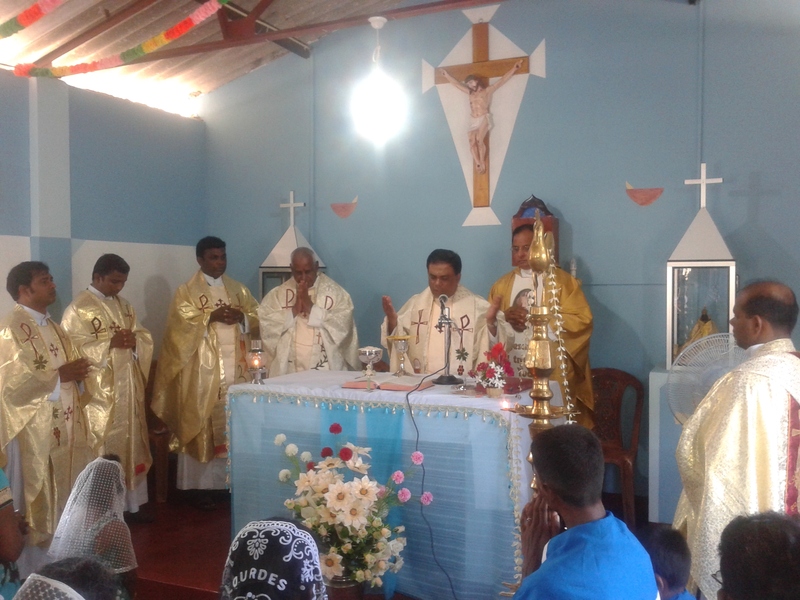 The Bishop of Jaffna while thanking the Oblates for their commitment to mission, expressed his satisfaction and appreciation for the ministry among the children and youth. All the guests in their speeches appreciated the Oblate mission, stressed the need for formation of values in the education of children and youth. 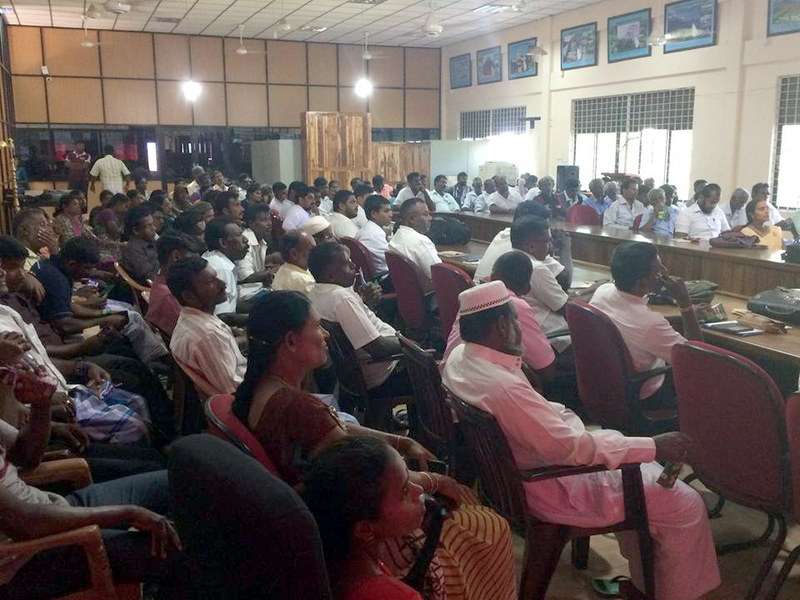 The Provincial of Jaffna, Rev. Fr. Paul Nadchethiram thanked the participants for their cooperation with the Oblates in their ministry, thanked the organisers and called for a vigorous and fruitful engagement in the ministry of children and youth in the growing society. By Fr. Edmund Michael, Director of Sangamam, Kopay.